A prominent central Iowa high school football coach died after being shot in the school's weight room. The family of Aplington-Parkersburg High School coach Ed Thomas said in a statement Wednesday morning that he died shortly after arriving at Covenant Medical in Waterloo. A gunman opened fire on Thomas in the school weight room at about 8 a.m.
Thomas was reportedly shot in the head at point-blank range, the Cedar Rapids Gazette reported. Authorities say the suspect was captured shortly after the incident, and is being held at the Butler County jail. No one else was injured in the attack. 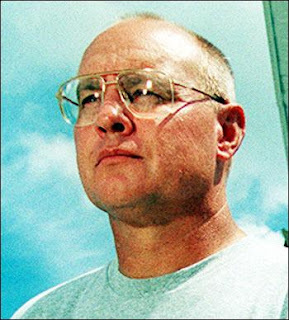 Thomas compiled a career record of 292-84 in 37 seasons as a head coach, 34 of them at Aplington-Parkersburg, and was one of the most well-known high school football coaches in Iowa. He was honored as the NFL High School Coach of the Year in 2005, and four of his former players are in the NFL: Green Bay's Aaron Kampman, Jacksonville's Brad Meester, Detroit's Jared DeVries and Denver's Casey Wiegmann. DeVries, a defensive end with the Lions, walked off the practice field in Allen Park, Mich. toward the end of its morning practice, apparently shaken. Team officials said DeVries was not immediately available for comment. When a tornado hit Parkersburg last summer, Thomas helped rebuild the football field just in time for the start of the 2008 season, the Des Moines Register reported. The field is named after him. Thomas' own house was also destroyed in the tornado. Butler County spokeswoman Holly Fokkena says about 50 students were in the school when the shooting occurred.